SNSD SeoHyun's 'Love, Still' encore concert will be held this April! - SNSD | OH!GG | f(x) SNSD | OH!GG | f(x): SNSD SeoHyun's 'Love, Still' encore concert will be held this April! Home / Seohyun / SNSD / SNSD SeoHyun's 'Love, Still' encore concert will be held this April! SNSD SeoHyun's 'Love, Still' encore concert will be held this April! After the success of her first concert, SNSD's SeoHyun will soon be back to treat her fans! That would be through her encore concert which will be held on the 8th and 9th of April. 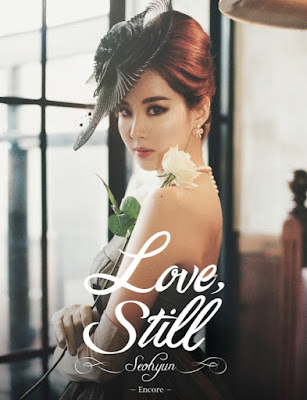 SeoHyun's 'Love, Still' Encore Concert will be held at SMTOWN @ coexartium 5F SMTOWN THEATRE and tickets will be available at YES24 (http://ticket.yes24.com) starting March 16.